Shawn and Beth from Stamen Design in the Mission visited us today to show us their amazing maps! They are a design firm that maps data from topics as diverse as sea grass growth in the Chesapeake Bay to the number of friendships across country borders on Facebook. They emphasized the importance of data sets in creating maps and showed various ways of looking at cities like San Francisco: streets, colors, social media use, Silicon Valley private bus lines. 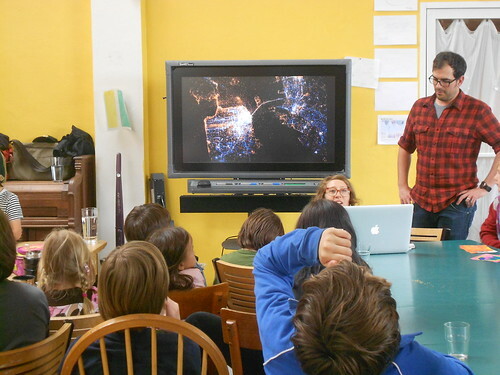 Rather than looking at maps as visualizations that only show you where you are in the world, they showed the kids just a peek into the hundreds of ways that data can represent the spreading of ideas and the movement of humans. Each map told a story: how a photo spreads across the internet, or the amount of traffic in a certain time period, or where people use Twitter in San Francisco, or how the stock exchange moves. 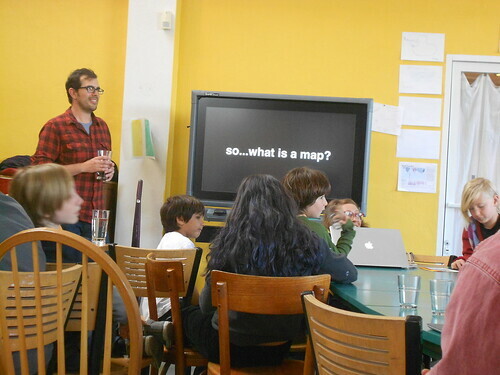 And what was greater was the kids’ ability to listen, digest, use familiar map vocabulary to talk to Beth and Shawn, and then ask very insightful questions. 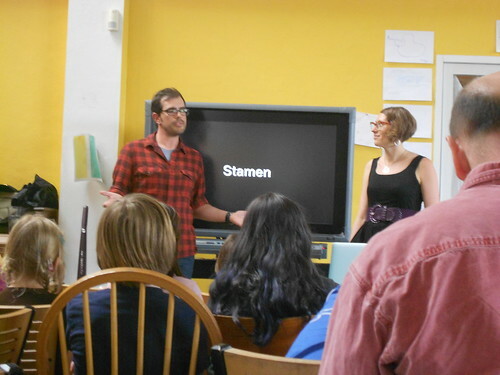 Check out Stamen’s incredible blog and website! This entry was posted in brightworks and tagged arc:Maps, Exploration, year-two. Bookmark the permalink.